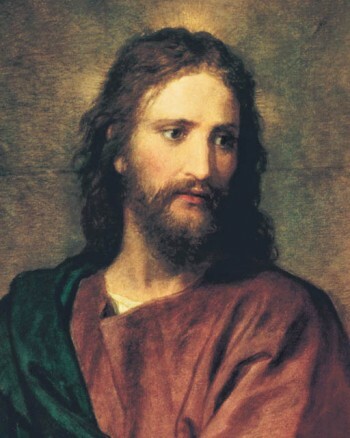 Do Mormons Believe Jesus and Satan are Brothers? This question gained a great deal of attention when Mitt Romney was running for president of the United States in 2008. At the same time, Christians of many faiths began to realize they couldn’t figure out where Satan came from. The apostle John said, “All things were made by him; and without him was not any thing made that was made.” (John 3, KJV Bible) This verse, of course, refers to God. This means Satan was created by God, as was every other being ever created. There is, according to John, no other way anyone or anything can exist. God created both Satan and Jesus, and in that respect, they are brothers. But in that respect, every person who ever lived is a brother or sister to every other person, because we are all children of God. If we are all God’s children, then we are siblings to every child of God. It no more demeans Jesus to be Satan’s spirit brother than it does for any of us to be related to evil people who have lived on the earth. To fully understand this, there are several points that must be considered. First, who is Satan? How did he become who he is today?The Bible tells us only a little about his history. From Isaiah, in the Bible, we learn Satan once lived in Heaven, but fell. Mormon beliefs include further information on this subject. Before we were born, we all lived in Heaven with God, who was the creator of our spirits. Although we didn’t yet have bodies, we did have our own personalities. We learned, developed talents and interests, and started becoming the person we are. We had agency-the right to choose. Some of us chose well, and others didn’t, just as we do today. could live God’s teachings when He wasn’t right there with us. The plan, which He presented to us, explained we’d make mistakes, so He would send us a Redeemer, who would voluntarily give up His own sinless life to atone for our sins. Jesus Christ offered to be that Redeemer. He was God’s oldest Son, the first spirit created, and so, our oldest brother. We’d be free to make choices, but were expected to find and live the truth. Jesus would “make up the difference,” meaning He would do what we couldn’t do for ourselves, after we’d done all we could. He would atone for our sins, something impossible for those who sin to do alone. Satan disliked this plan. He tried to convince us to change it. He suggested we’d come to earth, give up our right to agency, and let him control our every action and thought, so we couldn’t possibly sin. In return, however, he wanted to be exalted above God, as Isaiah said. Jesus, on the other hand, wanted God to have all the glory. This would make life on earth meaningless as a place of learning. Each of us was allowed to choose whether or not to accept God’s plan. Satan was cast out of Heaven, which is what Isaiah meant when he said Lucifer fell from heaven, and why Satan is known as a fallen angel. Those who rejected God’s plan were also cast out and had to follow Satan for eternity. Some have felt God couldn’t have created Satan, because Satan is evil. However, God didn’t create an evil being. Satan, like all other wicked people, made his own choices. God created each of us with a spark of divinity within, which we could accept and grow, or reject. We can’t blame God if we choose to ignore the great gifts He’s offered us and choose instead to live a selfish, greedy life. In the end, this is what was behind Satan’s fall. He could have been a good and even great spiritual leader had he made wise choices in his pre-mortal life, using his talents and ability to influence others for good. He didn’t choose to develop into that kind of being. He wanted all the glory and honor for himself, to be exalted above God. Having been refused this opportunity, he is now trying to increase his following, not because he loves us, as do God and Jesus, but because he is greedy and wants power and glory. Unfortunately, today, even some of those who rejected him are choosing to follow him now. They too were given a spark of divinity at creation, but are choosing to become wicked. You can see from the few scriptural references we have God must have created Satan, or John was wrong-and John taught truth, so he was not wrong. We can see from Isaiah Satan once lived in Heaven. These two facts make it clear Jesus and Satan are spirit brothers, in that God created both their spirits, and we too are spirit brothers and sisters with them for the same reason. It’s important, as we progress in our mortal lives, to choose to follow our oldest brother, Jesus, and not Satan. Like Jesus and Satan, we can each become who God chose for us to become, or we can honor Satan and destroy our great God-given gifts.